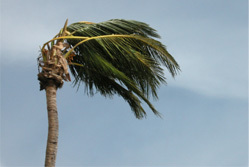 DIYHurricaneSupply.com is the specialist in providing high quality hurricane preparation products for the most economical cost. Our customization questionnaire ensures that purchases are made for exactly what the customer needs, with no product leftover; customization like this saves money by preventing wasted product. Equally cost effective is the insurance incentives many companies are offering for homeowners who install hurricane shutters. Moreover, our shutters are suitable for both doors and windows, ensuring the security of the entire home, as well as providing the ease of one-stop shopping convenience. Shuttering doors, especially French doors, sliding glass doors, and even double doors, is essential; a number of building failures during Hurricane Andrew were due to doors failing. Because we ship directly from the manufacturer to our customers, we are able to offer the lowest cost possible. Additionally, DIY installation eliminates the necessity of paying for an installer and rearranging your schedule for their convenience. DIY Hurricane Supply offers tech support 9am-9pm EST every day, but we are available 24/7 by appointment - how many other stores would change their hours for your convenience? Furthermore, since DIY Hurricane Supply shutters are temporary, they do not alter the aesthetics of your home. This is a benefit to homeowners who take pride in the appearance of their home, while the simple storage (much smaller storage space compared to plywood) provides the convenience customers desire. Similarly, the simple installation is another aspect of our products' convenience - a single person can complete the installation without assistance. Our manual design further ensures safety, security, and convenience because it can be installed and uninstalled during power outages, which are frequently an issue during hurricane prep and clean up. Moreover, the Lexan and combination shutters make clean up easier by providing natural lighting inside during power outages; if residents are not in an evacuation area, this is equally useful while weathering the storm. Most importantly, the safety of our hurricane shutters is superior to many other styles of shutters. 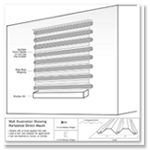 Our shutter panels are tested to winds up to 150 mph (this protects against the winds of a Category 4 hurricane), and meet many municipal codes and regulations. Likewise, we offer hardware that meets BOCA (aka NBC or IBC) requirements. Many homeowners try to save money by using plywood shutters, but they often don't know that plywood shutters do not meet local codes and regulations. Safety and security should never be something sacrificed for cost, which is why we offer superior quality for less! In fact, our shutters exceed the regulations set after Hurricanes Hugo and Andrew, which specify protection versus 110 mph winds; our shutters are tested to 150 mph winds. The experts at the National Oceanic and Atmospheric Association point out that most of the building failures during Andrew were a result of the lack of storm shutters; the pressure that builds up within a home from a broken window or door will often result in roof or internal wall failure. The other problem is that plywood merely covers the glass, while the frame is as much at risk for failure as the glass itself. Our shutters protect the whole window structure. Proper installation is an important aspect of the effectiveness of any safety or security measure, so we also offer multiple installation options for the most effectual protection possible. Finally, state and local legislation has changed in recent years to require the installation of shutters in certain situations. Florida law, for example, requires the installation of hurricane shutters when a roof is being repaired, or when a building permit is issued; if this process is not followed, the homeowner risks losing homeowner's insurance on the property. Check your local state and municipal legislation to ensure compliance with all guidelines. ALL Aluminum Shutter Panels (.050): This is the most cost effective of the panels offered. 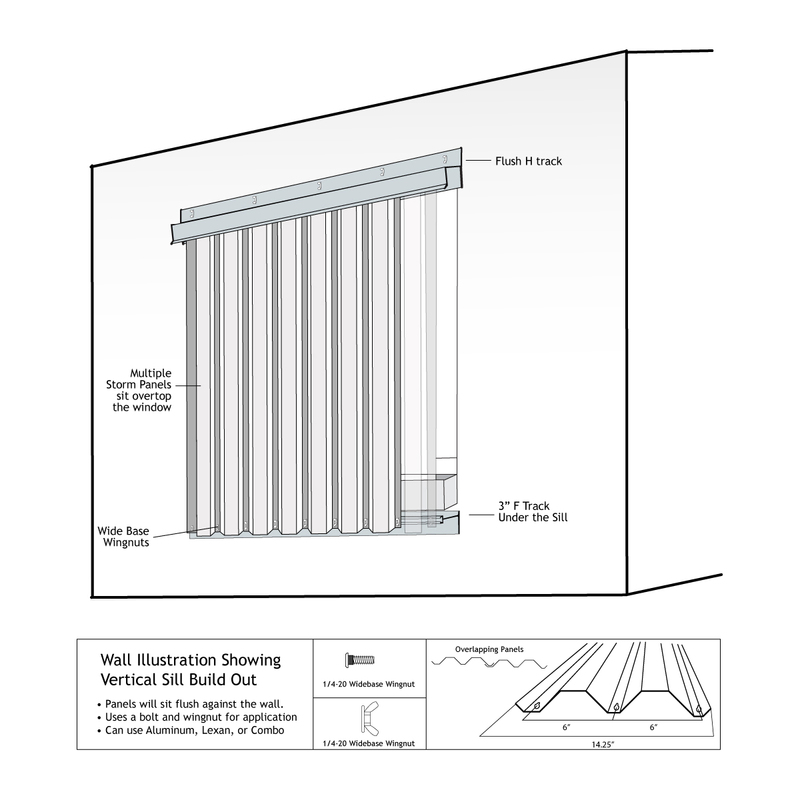 Like all the materials offered on this site, it protects all windows and doors from winds up to 150 mph. ALL Lexan Shutter Panels (clear): These panels allow light to enter your home as it normally would. This may be helpful for those days when the power is out. As with all our shutters they are a protective barrier against winds up to 150 mph. Combination Aluminum Shutter and Lexan (clear) Shutter: This is the most cost effective way to let a some light into your home. 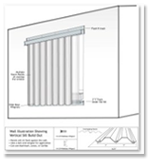 For every 6 panels needed to secure your window or door, DIYHurricaneSupply.com will send you 1 Lexan panel and 5 Aluminum panels required to secure your windows or doors. Since every opening is different this price will vary. 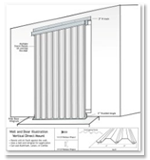 Horizontal : This process allows the shutters to be mounted directly onto your home (wood, siding or concrete). The panels will be attached along the sides of your windows or doors using screws and wing-nuts. When the panels are removed for storage the screws remain in the wall for easy re-installation. 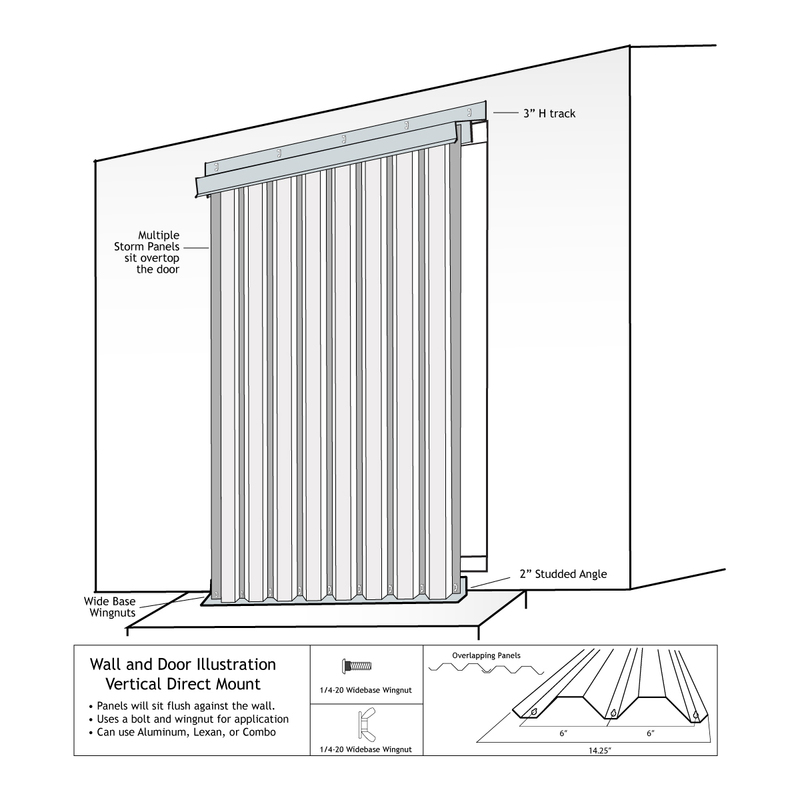 Vertical Channel : In this process you attach a “track” above and below your window or door. Then you “slip” the panels inside the top track and attach the panels at the bottom using screws and wing-nuts. When the panels are removed for storage the tracks may stay on the wall while the panels, screws and wing-nuts are all stored together for easy re-installation. This is the easiest and quickest way to install shutters when a storm is on the way. 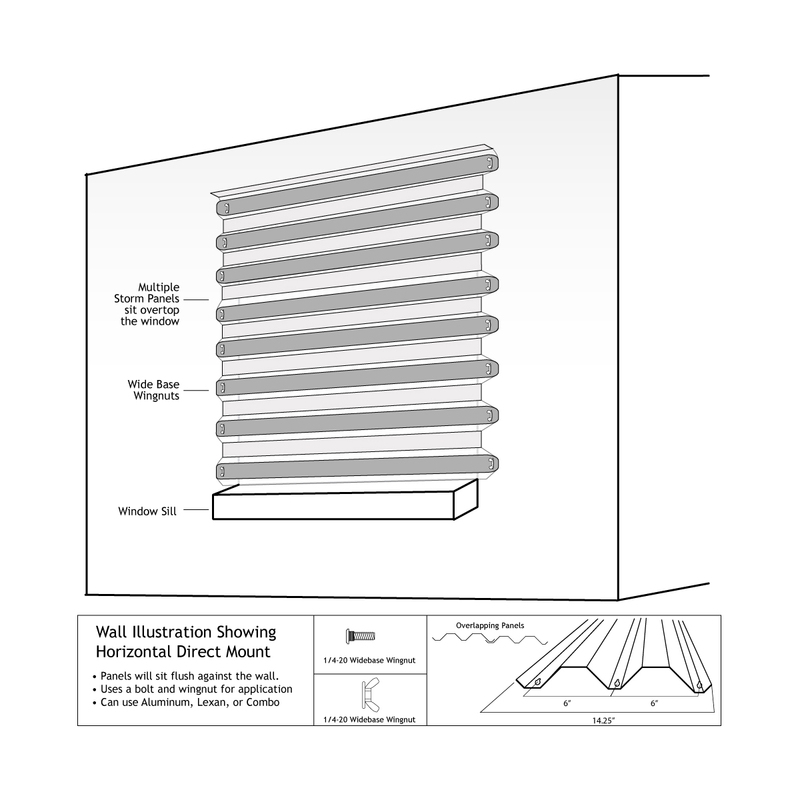 If you have decorative shutters on the sides of your windows, DIYHurricaneSupply.com recommends that you use this method for mounting your panels. Hurricane shutters are designed to improve the safety of your home during these disasters but no product can guarantee your safety. You should obey all law enforcement regarding evacuation.